The legislation would help lower prescription drug prices for families and caregivers across the nation by giving generic drug manufacturers more standing to challenge monopolistic, anti-competitive practices by big pharmaceutical companies. Pharmaceutical drug prices have been rising at a rapid pace for years. This is because of the way drug companies abuse loopholes in existing law to bar competitors from entering the market and competing with them for business. They do this by denying potential competitors access to drug samples and safety information that they need to get approval from the Food and Drug Administration (FDA). This gives patients no other option than to turn to exorbitantly priced drugs for treatment they desperately need. 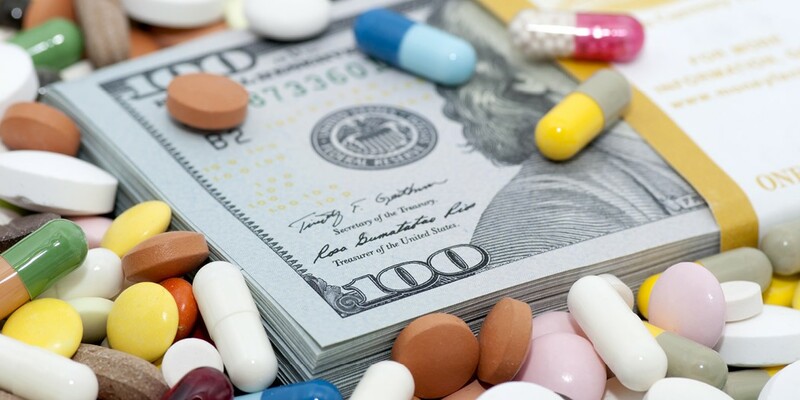 In pursuit of market exclusivity and profit, even after their patent has expired, these drug companies have left these patients with the impossible choice of financial ruin or their own health. The CREATES Act will establish a clearer legal framework which will allow generic manufacturers to seek injunctive relief in court to gain access to the samples and safety protocols they need. This will create more competition in the pharmaceutical sector, and lead to lower prices for patients who desperately need it. This will also have a benefit for taxpayers, as lower prices will save money in Medicare and lead to billions in savings to taxpayers across the country. Opponents of the bill claim this will stifle innovation, and lead to a plethora of lawsuits in the industry. The bill’s language is narrowly tailored and only focuses on predatory actors who abuse the existing legal framework to extend their monopoly beyond their patent. Members of the pharmaceutical industry cynically claim that this bill will hurt intellectual property rights in the United States, and undermine drug safety. Both claims are wholly without base and illustrate just how far some would go to preserve their bottom line at the expense of the most vulnerable in our society. CREATES Act does not touch any drugs currently under patent. This is only for drugs that have expired patents and are open to competition. It also helps improve safety by sharing safety protocols across a wider array of companies, so that they can be implemented for all drugs that come to market. This bill has broad bipartisan support. In the Senate, it has 31 sponsors and cosponsors, comprised of 15 Republicans, 15 Democrats, and one Independent. In the House, the story is the same. Of the 24 legislators signed on to the bill, 12 are Republicans and 12 are Democrats. This bill is a long overdue measure to provide much-needed relief to American families who are struggling to cover the costs associated with having a sick loved one. In that situation, being able to pay the bills should be their last concern. The CREATES Act is the solution. Start playing this so nice Board game with this Yahtzee which is so popular and always i like to enjoy http://theyahtzee.com and share with all of you people.